Rabbits are classified as ‘Lagomorphs’ because they have two more incisor teeth than rodents (in the upper jaw) giving a total of 8 instead of 4 for rodents. 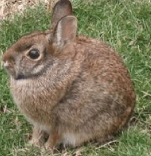 Note:Cottontail and Domestic rabbits cannot be crossbred, nor can hares and rabbits. This is because of differences in chromosome numbers between them. 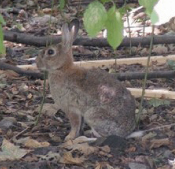 Ancient relatives of the modern rabbit lived in Asia and North America. Dinosaurs were already extinct and age of mammals begun. First fossil evidence of rabbits as we know them appeared. Modern day (domestic) rabbit is descended from the wild rabbit; 'Oryctolagus cuniculus' makes its first appearance. Man's relationship with the European or 'true' rabbit recorded by seafaring Phoenicians when they landed in Iberia, and dispersed them to other areas. The Phoenicians termed the Iberian Peninsula 'i-shephan-im' (the land of the rabbit), which became the Latin word 'Hispania', then became 'Spain'. Rabbits were kept and hunted in large gardens surrounded by stone walls called 'Leporaria'. This did not propose domestication because there was no specialized breeding program. Isolated monasteries began to keep rabbits for a ready source of food. They kept the rabbits in separate cages to protect the breeding does. 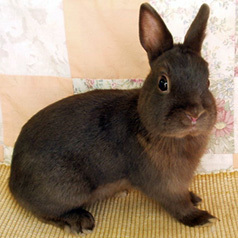 Selection process starts by choosing tamer and friendlier rabbits that were easier to handle. Normans brought them to Britain and established them as domestic and wild animals. Records show transaction between two monasteries for the purchase of two breeding pairs of rabbits. Rabbits have found their way to most regions of the world by either natural means or by early sailing vessels who kept them for a ready source of meat. Rabbits kept on islands for confinement using their fear of water, as a source of food during long sailing trips. Early development of new varieties showing deliberate breeding. Development of other colours such a black, and an increase in size. 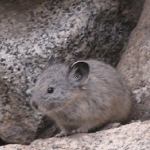 First appearance of 'silver-gray' and 'blue' rabbits and then the subsequent fur industry. Seven distinct colours as well as differences in coat length and texture ear length and body size had been genetically selected. Early fanciers then develop new breeds for meat, fur and pets. Study of genetics on its way. Very few domestic rabbits in North America. Other breeds of Domestic rabbits developed and imported into North America. 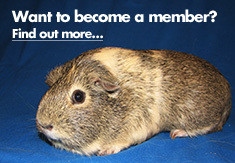 Development of a national rabbit association devoted to all breeds. Used for exhibition and occasionally meat production. These rabbits need special housing because of their size and weight. Larger than normal cages and solid (wood) floors are best for these larger breeds. They have a shorter life span than smaller breeds. Average life span 3 – 5 years. Popular meat breeds in this size category ie. New Zealand and Californian. Excellent mothers, milking ability and large litters. Easily housed on wood or in wire pens. Average life span 6 – 8 years. Used for exhibition and or for pets. Average life span 8+ years. 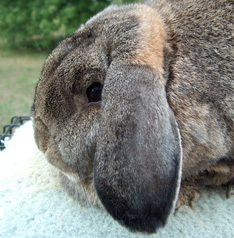 Basic meat rabbit type with medium body length, the shape of half a pear when viewed from the side. The top-line of the animal rises directly from behind the ears over a well-filled shoulder and rib section, to a high point over the hips. Width and depth of loin are important and also a smooth and rounded hind-quarter, with firm flesh throughout. To be posed with hock and forelegs flat on the table in a natural pose, not pushed up or flattened out. A short, well-rounded body type with a slight taper from the neck to the tail from the top and side views. Posed with forelegs and hock flat on the table, but a few are posed in a semi “pushed-up” position. and carried up. They are posed stretched out as far as possible but with forelegs and hocks flat on the table. 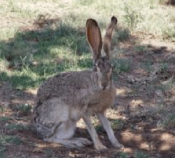 These animals show an arch starting from the neck right down to the tail, when viewed from the side, with lots of air space between the belly and the table (similar to a wild hare). This shape is termed as raciness in rabbit circles. The arch gives them more depth than width of body. They are posed up on the front feet and toes and also judged on their movement by letting them run naturally up and down on the table. Referred to as Mandolin type because of the similarity of shape to a Mandolin placed face down on a table. Usually these breeds have a longer body length than most. When posed with forelegs and hocks flat on the table, they show a distinct arch starting just behind the shoulders and rising over the massive loin and hindquarters carrying down to the base of the tail. This type is judged by posing and also allowing the animals to move naturally on the table to view their 'tracking' which is the straightness and movement of their hind legs. A fine dense under coat hair for warmth and a longer coarser ‘guard’ hair that protects the undercoat. i.e. similar to our wearing woolen garments under an overcoat. Similar to ‘normal’ fur but with a finer diameter ‘guard’ hair that also reflects light making the coat very bright and shiny. The satin coat has a texture very similar to the feel of satin cloth. The ‘guard’ hair on the Rex breeds is the same length as the undercoat making the fur look and feel like velvet. The hair is at a 90% angle to the body and should be 5/8" long - the width of a dime. When feeling the hair between fingers it should be thick. The thickness is called density. When looking at the ends of the hair it should be completely even - the guard hair not extending beyond the undercoat. The overall feel to be soft but springy - this is the texture. Angora Fur is called wool. It has both an undercoat and guard hairs of extended length. Angora wool comes ‘loose’ when ready and is plucked or sheared to make angora yarn. 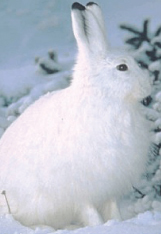 Angora fibre listed on garments labels always refers to Angora rabbit wool. Note: “angora goat” wool is the fibre from Angora goats and is called “Mohair”.